No comic conventions this week, but that doesn't mean I didn't buy some books! 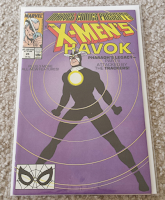 Marvel Comics Presents #25 is an online purchase I made this week. Admittedly this one is a little vague, but I assure you there is a reason I wanted it. This comic is actually the first appearance of the extremely popular character the Nth Man! Okay, okay. So he's not extremely popular. He's actually not even popular at all. When I was a kid and I first got into comics, my parents bought me a box of comics from a catalog. It was basically a starter kit. Inside the box was The Nth Man #3. Nth Man was always pretty lame to me, and the character has kind of become a joke between my friend Dan [Twitter | Blog] and myself. 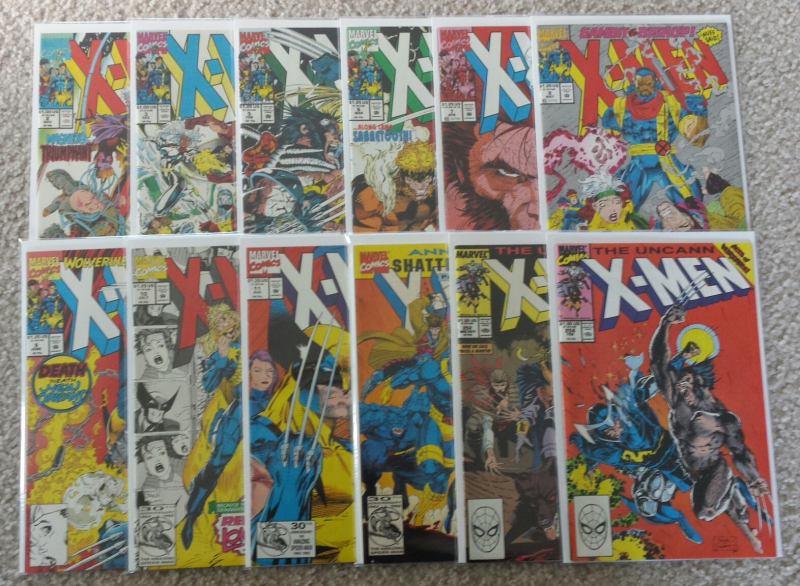 I also grabbed these Jim Lee X-Men comics at my local shop. 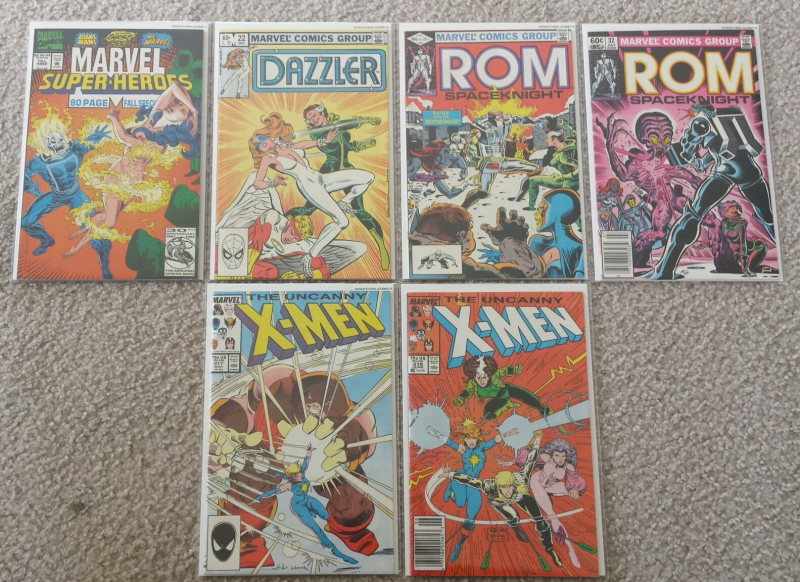 I have been trying to get all the Jim Lee X-Men books lately, and this lot is a great big chunk taken out of it. 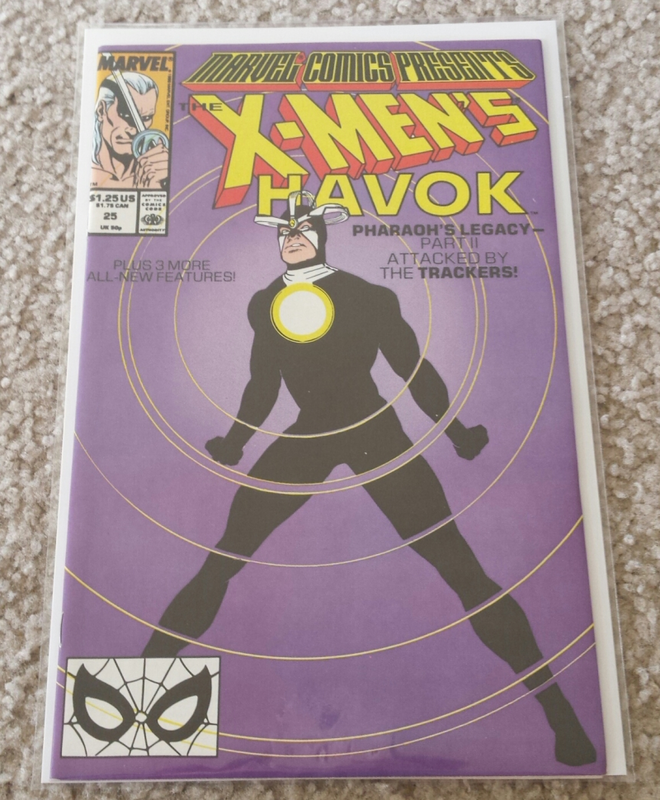 I also picked up Uncanny X-Men #257, which is another Jim Lee issue, but it's not in this image. The group that I picked up was X-Men #1 through #11 (with the exception of #4, which I already had), the first annual, Uncanny X-Men #252, and Uncanny X-Men #258. Last time I mentioned that I was trying to get the issues chronicling Rogue's journey from villain to hero. Well, I picked up a few more issues in this set! We have an issue of Marvel Super Heroes which contains the unpublished final issue of Ms. Marvel (which is something else that's exciting), Dazzler #22, ROM Space Knight #31 and #32, Uncanny X-Men #217, and Uncanny X-Men #218. With that, I have completed the set! I already had Rogue's first appearance in Avengers Annual #10 and Marvel Super Heroes Secret Wars #6. I've been on a big Todd McFarlane kick lately, as his art was a huge reason I was so into comics in the early 90s. His run on Spider-Man was absolutely incredible. I love the Torment story at the beginning of the run. 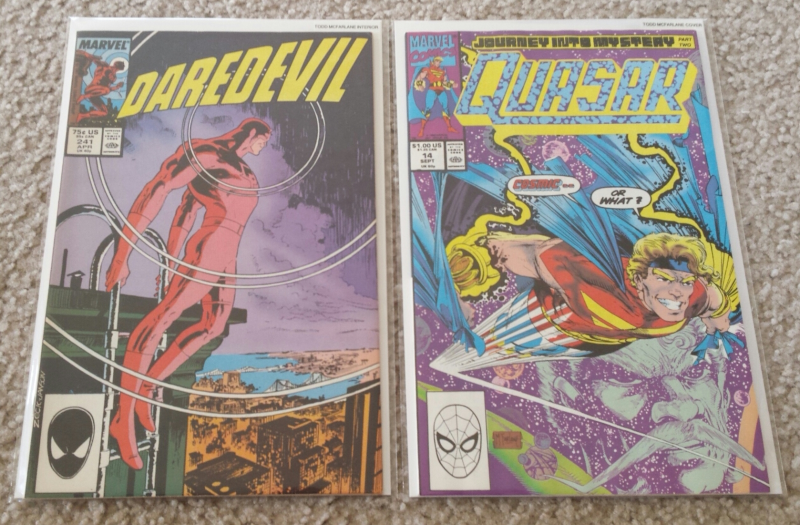 I ordered Daredevil #241 which Todd did the interior art for, and I ordered Quasar #14, which he did the cover for. The Quasar cover is super cool, and if this had been the first issue I had ever seen of Quasar as a kid, I guarantee I would have been on board! At least until I realized that McFarlane wasn't going to do anything else in the book besides the one cover. I went overboard with the 90s gimmick covers this week. I got Nightwatch #1, Fantastic Four #387, Quasar #50, Wolverine #100, and WildC.A.T.S. #2, all with holographic covers. 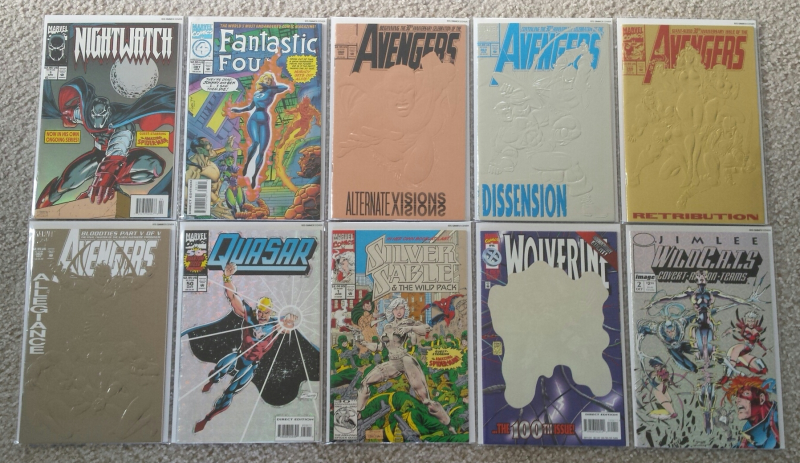 Additionally, I got Avengers #360, #363, #366, #369, and Silver Sable & The Wild Pack #1, all with shiny embossed foil covers. Truly the 90s were a decade of decadence. Overall, I'm pretty pleased with my purchases this week!